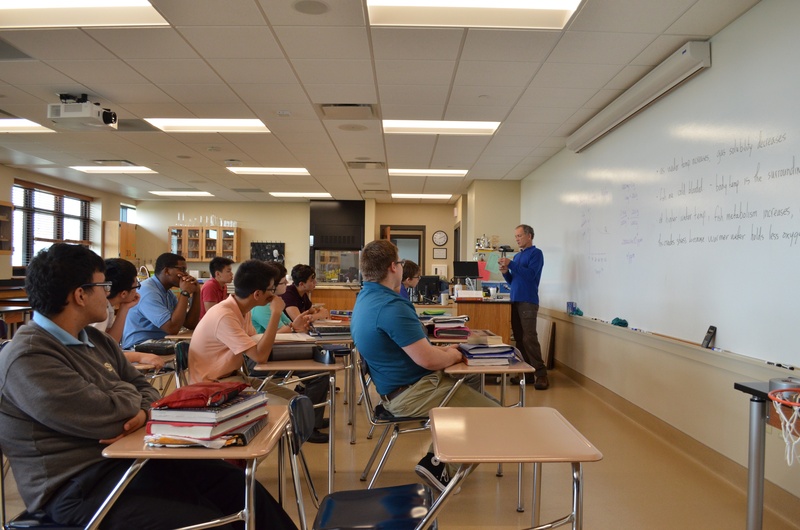 Here at St. Lawrence Seminary High School, we have a multitude of programs that are designed to help our students with growing in their faith. These programs prepare our students for a lifetime of ministry as priests and lay leaders in the Catholic Church and help them form moral character for the rest of their lives. Check out beneficial programs that St Lawrence offers to prepare students for continued spiritual success! Students who are Sophomores, Juniors, or Seniors are asked to choose a spiritual director from one of the many available directors on campus. Freshman can take part of this program as well, on a voluntary basis. Students meet with their spiritual director at least twice a semester to discuss anything about the student’s life, problems, relationship with God, etc. Our spiritual directors each have their own unique method for this program that draws from spiritual direction training programs, experience in their ministry, continued study, and more. Spiritual directors will share their own personal experiences and recommendations and will challenge students to take responsibility for their own questions and responses. Throughout the spiritual direction program, students mature, ask questions about religious life and priesthood, and learn from their director about how they can be spiritually successful. The Angel Tree Project is a national program that provides Christmas presents for children who a have a parent in prison or jail. Seniors deliver gifts to the families (they don’t actually visit the prisoners), juniors shop for the gifts, sophomores wrap the gifts, and freshmen write cards for the families. Broken Bread is a food distribution program for the hungry of the Fond du Lac area. Students help with serving food, taking down tables, and putting food away at the end of the evening. Villa Loretto is a nursing home in Mt Calvary, Wisconsin that students get to visit. During their time at Villa Loretto, students play bingo with the residents, work at the Villa’s annual “Fun on the Farm” event, help out at the Haunted House that Villa Loretto sponsors, and more. St Lawrence offers many more service opportunities, such as Operation Back to School, Make a Difference Day, a Mission Trip, and more. While it’s sometimes too early for adolescents to make a definitive commitment to any vocation, all young Catholics have an obligation (by their baptism) to be open to and willing to explore what their personal calling may be. Besides the vocational example of our faculty and staff, students are provided with various opportunities to discern their vocation. St. Lawrence observes the World Day of Prayer for Vocations in April and the Week of Prayer for Vocations in January. Juniors at St. Lawrence have the opportunity to spend a discernment day at St. Joseph Seminary in Chicago and Seniors who are interested in the Capuchin Order are invited to spend a weekend in Chicago at St. Clare Friary. Vocation Directors from the various dioceses, as well as the Capuchin Vocation Directors, can always meet and celebrate Mass with the students. We pride ourselves on offering a variety of opportunities for students to grow and learn both spiritually and academically at St. Lawrence. Come take a tour at the St. Lawrence Campus to check out all of our spiritual success programs. St. Lawrence Seminary is an all boys Catholic boarding school located in Mt. Calvary, Wisconsin. We welcome students from Minnesota, Illinois and across the United States. 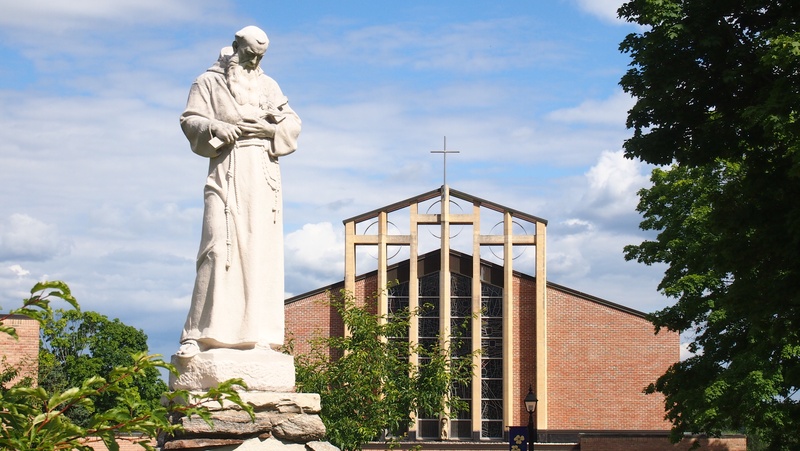 Inspired by the Gospel of Jesus Christ and the example of St. Francis of Assisi, St. Lawrence Seminary provides a residential college preparatory education in a living Catholic community nurturing mature, well-rounded men of faith. See if St. Lawrence is right for you and your son.